Let customers use their telephone instead of the email to log into the store. Customers enter telephone + password instead of email + password. When customers forget password, a new password is sent to them by SMS (requires smshare SMS module). 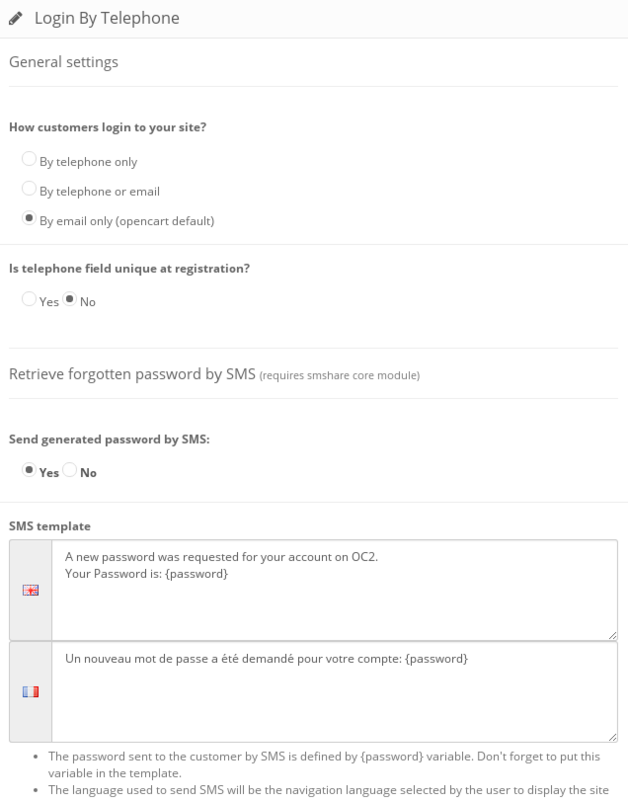 Prevent duplicate: You can choose to force telephone to be unique (think about the email how it is unique) at registration. 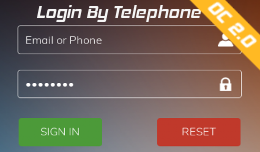 It means that if an account is already registered with a telephone, no other account can be created with the same telephone. smshare module: Optional. 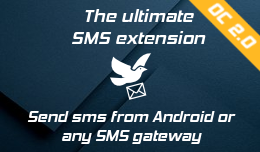 Needed only if you want to send new password by SMS to customers who forget their password. This extension has been extensively tested with default Opencart Theme without custom checkout plugins. 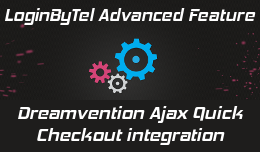 When using custom checkout plugins or custom themes that modify heavily the classical login process (especially at checkout), it is worth noting that some additional integration work may be needed at additional cost. 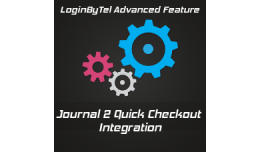 This advanced feature lets you use the "login by telephone" extension with the Journal 2 theme and q.. 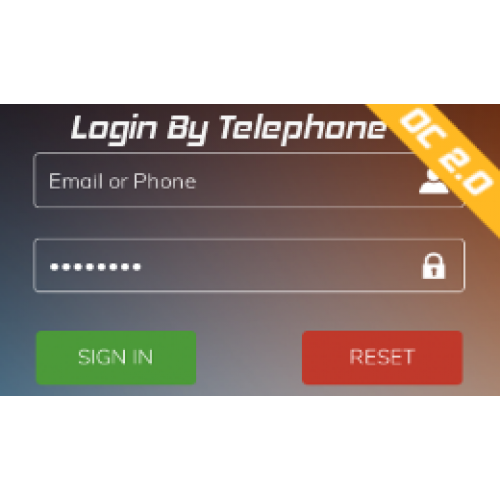 This advanced feature lets you use the "login by telephone" extension with the Dreamvention Ajax Qui.. 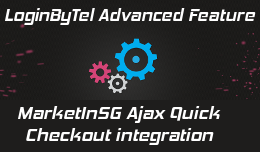 This advanced feature lets you use the "login by telephone" extension with the MarketInSG Ajax Quick..